So, the day after I had my Vaser LipoSelection done, I actually went on a short family vacation to Krabi. I know, pretty crazy! But it'll be a crazy few months for me, and I needed to get the procedure done ASAP to make sure that I didn't have to show up at events and photoshoots looking like an abused chipmunk. Ultimately, my decision to go on a vacation in a foreign land after the procedure turned out to be a pretty good decision - read on to know why! First of all, I woke up the day after the procedure and smelled something gross. Like, really gross. It was a combination of a metallic bloody smell and rancid rotten eggs. Yep, gross. So I sniffed my clothes, the kids' clothes, the cats' litter box, and searched under the bed to check if there were any dead animals around. After a while, I realized it was me. EW. Anyway, figuring maybe blood got on me during surgery, I washed my hair…and still smelled like death. It turns out the incisions were draining, so I had some discharge coming out...and out it came, for the whole damn day. EW. EW. Seriously, I apologize to all the passengers who had to be in the same aircraft with me on this day (particularly my seatmate and cuddle buddy, Afraz). As you can see, it was really bad on Day 2, but all the swelling and redness went down pretty quickly after that. Still, I had to deal with a lot of stares on Day 2! I've asked Dr. Alice why I have those bumps under my chin, apparently it is caused by the probes. My bruises also started yellowing towards Day 4. Those bumps also went down, as you can see. However, I think the most interesting parts of my recovery cannot be documented in photos. For example, numbness. If you could just imagine a beard around my jaw and chin, that is the area where I was numb. It was a really strange sensation - I honestly could not feel anything. This made washing my face and putting on makeup weird because I couldn't "feel" my way around my face. It also made eating a little bit embarrassing - if you cannot feel your lower lip and jaw, food WILL dribble down your chin. Oh, and it also limited my facial expressions! This was the BIGGEST smile I could make with half of my face all numb! Oh, and believe it or not, I did not experience any pain. In fact, I did not take any of the pain meds that were given to me by Dr Alice. I expected a lot of pain, and I suspect that without the numbness, I would have been in a lot of pain (based on those bruises). So I'm quite grateful for the numbness, despite my clothes always being covered with food thanks to the dribbling. Dr. Alice ruled out swimming (which is fine by me, because I actually do not enjoy swimming), but I still had lots of fun walking around and going on elephant rides (as seen above). All in all, it was a pleasant way to spend the first few days post-surgery. Once I came back home, I went to see Dr. Alice for my one-week checkup and to take out stitches. Put on a little antibiotic cream, and I'm done! As you can see, the swelling under my chin was all but gone by then. And now, onto the pictures everyone's been waiting to see - my one-week before and after shots! That's quite a huge difference! That is really great and good post. It really nice and informative about vaser liposuction. That treatment is made huge different. That's really nice. I think you are happy with the vaser lipo. 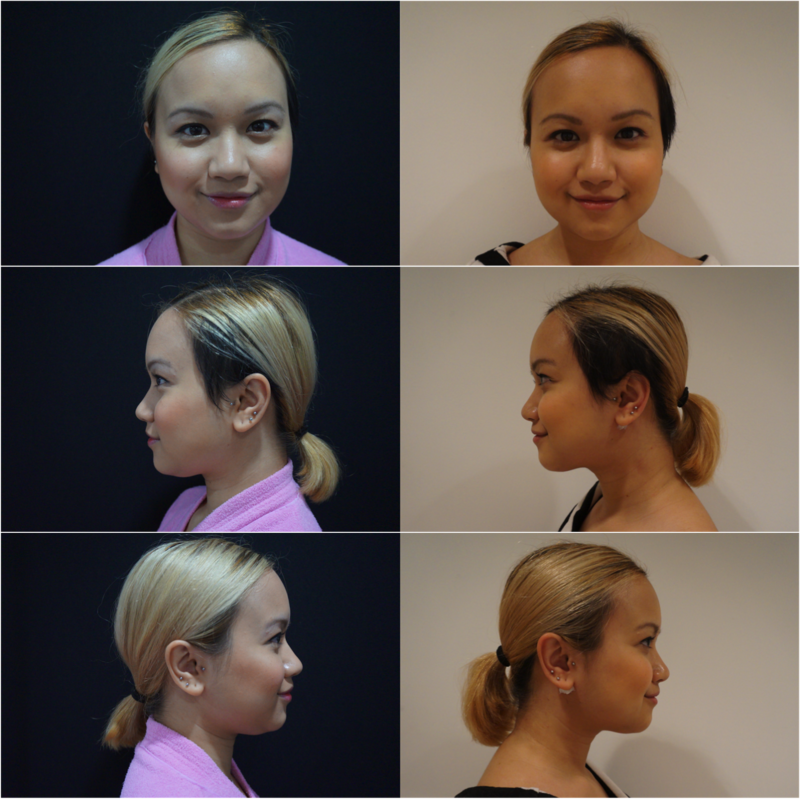 It should be better experience for getting vaser liposuction.